Jeff Weld has been running the Iowa Governor’s STEM Advisory Council since July 2011, but he’s on leave to serve as senior policy adviser on STEM education for the White House Office of Science and Technology Policy. He is an associate professor of biology at the University of Northern Iowa. How do you personally define innovation? I tend more toward literal than figurative with words, so I would go with the Latin root, which is “renewal” or “change.” Elaborating on that a little bit, to invent or create is to do something truly novel that the world has not seen, but to innovate is to reimagine uses of the familiar, in a novel and more effective way. What did you learn about innovating from your parents/mentors? Well, now that you mention parent, my mother was by necessity wildly innovative, singly raising six children. She could stretch a can of tomato soup with a box of Velveeta and some cabbage into a week’s dining. And certainly like anyone who grew up in conditions of meager means, I learned electronics to keep an old radio working, bicycle repair to keep hand-me-down bikes rolling, later auto mechanics to keep rusty heaps running, and job skills like hustle and problem-solving to stay gainfully employed for the gas money. Desperation is a parent of innovation. As to mentors, too many to recount here, but just one who exemplified innovation for me was Smitty, who co-owned the Hilltop DX service station on North Dodge Street in Iowa City where I worked through college. From customer service to car repair and even station upkeep, Smitty approached everything with a “how can we do it better?” continuous improvement philosophy ahead of the trend. That has stuck with me through academics and professional (and personal) life ever since — a tribute to Smitty. What was your first significant innovation, invention or process? Doubtlessly I had lots of innovative solutions to all the broken toys in my childhood, such as Frankensteined bikes that merged the tiny wheels of a “stingray” onto the giant frame of a Schwinn 10-speed to make functional transportation. But perhaps one of my proudest innovations was to redesign high school biology, at least for how I would teach it to my students, by tossing out the textbook and centering the content around community issues. What are some of the ways we can cultivate a culture of innovation? As I alluded to previously, desperation is a parent to innovation, so in that light, we need to allow and permit for more desperation in our culture. By that I mean to introduce more ambiguity, flexibility, risk-taking, meaning and context to schooling and parenting. There’s a fable about a science class in which the physics teacher hands out barometers to the students and instructs them to derive the height of their building by the drop in pressure as they ascend the stairway to the rooftop. While most of the class dutifully pulled out the standards table to reference their findings, one kid tossed her barometer off the rooftop and timed its descent to the unforgiving sidewalk below, revealing through gravitational acceleration the building’s height. Was she celebrated for thinking innovatively, or sent to the principal’s office? Whether we’re teaching someone to cook or to solve equations, there are recipes and protocols to box in learners, or they could be handed the tools to fumble about, question and create. One mode is efficient, the other is meaningful. One fosters conformists, the other spawns innovators. 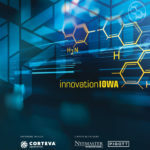 What is Iowa’s biggest challenge when it comes to innovation? Extending my concept previously to a culture of innovation in Iowa, we need to embrace the messy and seemingly inefficient tactic of teaching as more like coaching or facilitation to empowered individuals and teams — whether they be kindergartners or retrained adults on the job. Intellectual risk-taking needs to be celebrated, not penalized. So basically we need to reimagine K-12 and college education, especially how we train and evaluate our teachers. Great models exist, such as Olin College of Engineering in Needham, Mass. What are two or three of the most exciting areas of innovation that you are working in? (A) STEM BEST models — Thirty-seven schools and school consortia across the state are now partnering with employers — industry, hospitals, service organizations, etc. — on STEM Businesses Engaging Students and Teachers (BEST). They are redefining curriculum, making school more meaningful, active and collaborative, while serving their communities by contributing to employers’ bottom lines. (B) Scale-Up — Each year Iowa STEM identifies the most effective K-12 programs — kits, curriculum, software, etc. — to roll out to the most needy of schools and informal educational venues. To empower educators with exemplary materials, all of which foster that collaborative problem-solving environment of the innovator, produces an annual effect of gains across the board on science and mathematics tests and attitudes about learning STEM. Gains are even more pronounced among underrepresented groups. Gains transcend reading as well as STEM. And gains are showing in interest in living in Iowa when youth complete their studies. (C) Teachers in Industry — Each summer some 60 secondary educators of math, science and technology take the bold step of entering the world of commerce for the summer to update their knowledge and skills while contributing to functions of the plant, the lab or the operations. Educators are transformed by the experience, changing what and how they teach moving forward. Employer hosts are benefited by the contributions teachers make on the job. And students benefit from revised lessons that incorporate aspects of the work world as opposed to the dry curricular checklist of standards. What technology advances will make it easier to innovate new products? In the case of education, of course, digital learning platforms hold enormous promise. Take, for example, just one instance of the difference that distance-learning can present. Imagine an algebra teacher in, say, Keokuk who came to teaching after a military career as a nuclear engineer aboard a submarine. Her lessons are riveting as she relates exponents, linear equations and quadratics to phenomena of the sea, or of life support systems on board, or of torpedo trajectory, etc. Everyone ought to have such an impactful algebra experience! And through digital technology they can. What areas of education or expertise are in the shortest supply? Teachers with the kinds of experiences and training as described previously are in high demand. And most of today’s teachers would love to grow their talents in such a direction and be able to provide such rich experiences to their students, so we just need to create more opportunities for educators to experience the work world that awaits their students. What do you see as the most pressing global innovation challenge? Sorry to sound circular here, but the most pressing global innovation challenge gripping us is the imperative to think and behave more globally. In this era of intertwined geopolitics and economies spanning interstate and international boundaries, if an international employer or trade partner of Iowa sneezes, our state catches pneumonia. That message, clearly conveyed to the citizens of our state, would change how individuals and institutions behave, especially in lean budgetary times when all are asked to innovate toward efficiency and modernization. And most certainly our K-12 and collegiate systems have a profound responsibility to educate to innovate by providing global context (international perspectives and collaborations — a relatively easy thing to do with the advent of Skype and other online platforms). What is your top goal in the innovation world this year? In my temporary post at the Office of Science and Technology Policy for the White House, my goal is to bring the cutting-edge educational solutions of the Iowa Governor’s STEM Advisory Council to bear for federal leaders and the nation.